Jane Austen Travel: More Great Places to Visit – Faith, Science, Joy, … and Jane Austen! Austen’s father and brothers studied at Oxford, at St. John’s College. Some of her heroes also studied there. I recommend taking a tour of the university, which is huge; many are offered. Find one that will take you inside at least one of the colleges. Be sure to see at least the outside of the Bodleian Library, with Latin inscriptions over the medieval schools there. And ask your guide about sights related to Harry Potter and to Narnia! This faun at Oxford, and a nearby lamppost and picture of a lion, supposedly inspired C.S. Lewis to write The Lion, the Witch, and the Wardrobe. Faith at Oxford: You can see a reconstruction of the room where John Wesley lived (though it may be the wrong room) at Lincoln College. Pembroke College is where Whitefield studied. Travel Through Oxford: City of Saints, Scholars, and Dreaming Spires by Andrew Atherstone (Day One series) is a good guide to the faith-related sites at Oxford, with lovely pictures. It’s also a fun way to “travel” while you sit at home. Science at Oxford: The Museum of the History of Science in the Old Ashmolean Building is fun to explore. Their website offers “online exhibitions” as well. The Oxford Virtual Science Walk takes you to scientific sights around Oxford; click on each place on the map to find out more about it. One plaque commemorates the flight of James Sadler in a hot air balloon in 1784. I enjoyed doing this as an actual science walk. Austen’s villains Henry Crawford and George Wickham went to Cambridge; perhaps this was Austen’s joke about Oxford’s rival university. The Round Church at Cambridge offers a display on Christian Heritage in Cambridge and tours. Faith at Cambridge: Another excellent guide from the Day One series, Cambridge: City of Beauty, Reformation and Pioneering Research by David Berkley will take you to sites related to church history. The Round Church includes a display of “Christian Heritage in Cambridge” and offers tours of church-related sights; check ahead for days and times when tours are available. You can see statues of Wilberforce and other famous people in the chapel of St. John’s College. From Holy Trinity Church at Cambridge, Charles Simeon trained a generation of Evangelical ministers and missionaries. Science at Cambridge: Isaac Newton supposedly watched an apple falling from a tree, leading to his discovery of gravity. At Trinity College where Newton studied, there is a tree descended from that famous one. Cambridge is a world center for science, and they have several excellent museums. I enjoyed the Whipple Museum of the History of Science and the Museum of Archaeology and Anthropology, which has fascinating displays from Captain Cook’s voyages in the 1770s. I was sorry the Zoology Museum was closed when I went; I had hoped to see their dodo and other extinct birds. There’s also a science connection in Lyme, as it was the home of fossil-hunter Mary Anning. She is commemorated in the lovely Lyme Regis Museum. You can see some of Anning’s most famous fossils in London at the Natural History Museum, including these specimens. 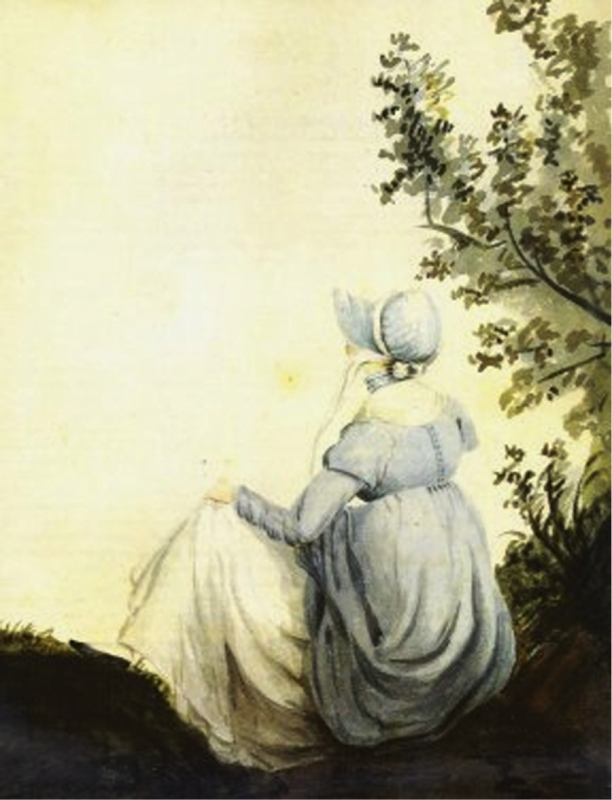 For more on Lyme, see Jane Austen and Lyme Regis, by Maggie Lane. Any fan of the Regency will want to see Brighton, where Lydia eloped with Mr. Wickham. The Prince Regent made Brighton a center of society, and his exotic Pavilion is a mix of India and China, full of dragons and opulence. Unfortunately for the Regent, by the time the Pavilion was finished he was getting too ill to enjoy it and he didn’t spend much time there. I also got to tour a Regency Town House that is being restored, learning a lot about the town and its Regency culture. Tours are only offered occasionally; check dates. The Brighton Museum includes a collection of pottery illustrating British history. There are statuettes of Wesley and other religious figures, as well as mementoes of Wilberforce’s abolition campaign. Museum of London: This is a very accessible museum, with bright, clear exhibits to appeal to everyone. If you’re visiting London and want an overview of its history, this is a great place to start. And it’s free! The “Expanding City” gallery (1670s to 1850s), which has a small re-creation of Vauxhall Gardens, was my favorite part. The Museum also offers walking tours focused on different aspects of London’s history. Victoria and Albert: I haven’t visited this for some years. They focus on the arts and fashion, with many gorgeous displays. A search for “Jane Austen” gives you blog posts and photos of some of the Austen-era prints and clothing held by the museum. The Europe 1600-1815 gallery might appeal to Austen fans. You can listen to an audio guide online about the collection. This is another free museum; don’t you love London? Their free museum tour “Britain 1500-1900” would of course include Austen’s period. The National Portrait Gallery owns five versions of Jane Austen portraits. You can see the most famous one, Cassandra’s sketch of her sister, in the Room 18 miniature case, according to their website. Walking Jane Austen’s London, by Louise Allen, gives a series of walks, pointing out places Austen lived, visited, or would have known. Allen’s Walks Through Regency London gives more places to visit. Both are available on kindle. They include many churches to visit. I haven’t done the walks, but I enjoyed reading the books! If you want more ideas of places to go, check out A Jane Austen Gazeteer which gives maps and brief descriptions of places Austen and her family lived and visited. You can also visit sites where movies of Austen’s works were made. Regency Explorer has a nice list. Of these locations, I’ve only seen Saltram House, the site of Norland Park in the 1995 Sense and Sensibility. It’s a lovely place, and gives you a feel for an Austen-era estate. Now that I’ve seen this list, I’d like to go to Kenwood House, which was Sotherton in the 1999 Mansfield Park. Kenwood House was the actual estate of Lord Mansfield, the judge whose rulings began moving England against slavery. His great-niece Dido Belle, daughter of a slave woman, also lived here; the movie Belle takes a speculative look at her life. Kenwood House is free, and located in the outskirts of London. I love to see historic places and beautiful art and architecture. But history to me is really about people. People who inspire us, who give us good examples to follow and bad examples to avoid. I see the Regent who built the palace of Brighton as someone who left beauty, but did very little good. He wasted his country’s money on his own pleasures rather than helping the needy. Mary Anning gives me an example of a woman who was poor but who worked hard, learned all she could, and contributed to our knowledge of the world. John Wesley was an amazingly dedicated, self-sacrificing man who brought faith to people all over his country. As you travel, you might think about the people connected to what you see, and consider what about their lives you admire and what you do not. Next week we’ll focus on more places related to Faith in Jane Austen’s England, then the following week we’ll focus on places related to Science in Jane Austen’s England. Jane Austen’s World also gives virtual tours and lots of photos for most of the places I have mentioned in these first two posts. Just search for the place you’re interested in.